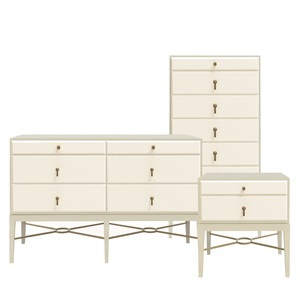 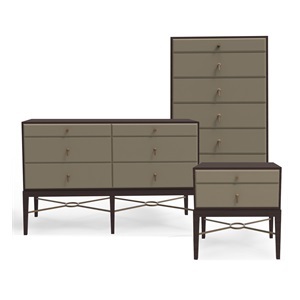 Constructed from veneer wood framework and metal leg frame, our Boudoir dressing table includes three drawers and solid metal drop handles. 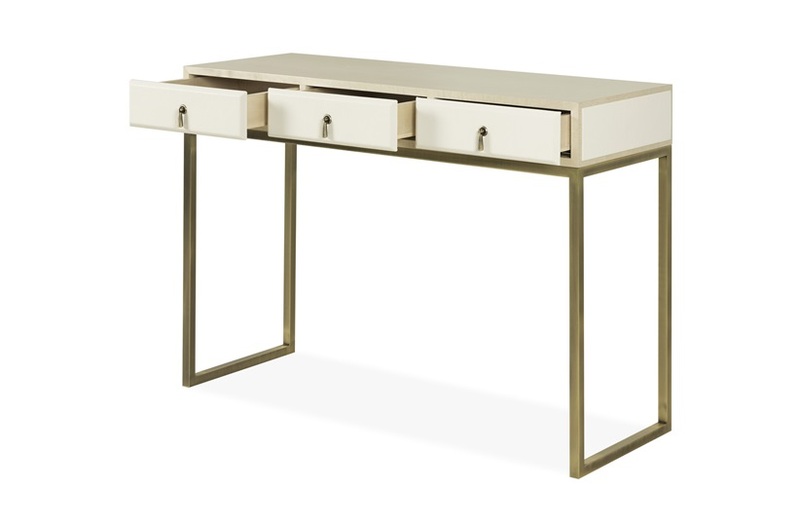 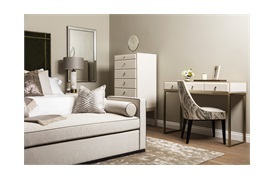 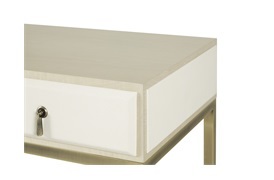 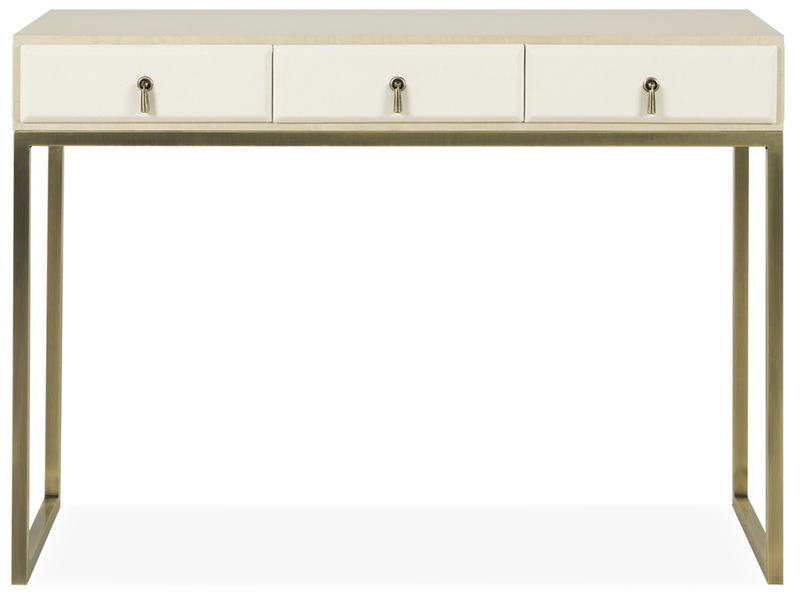 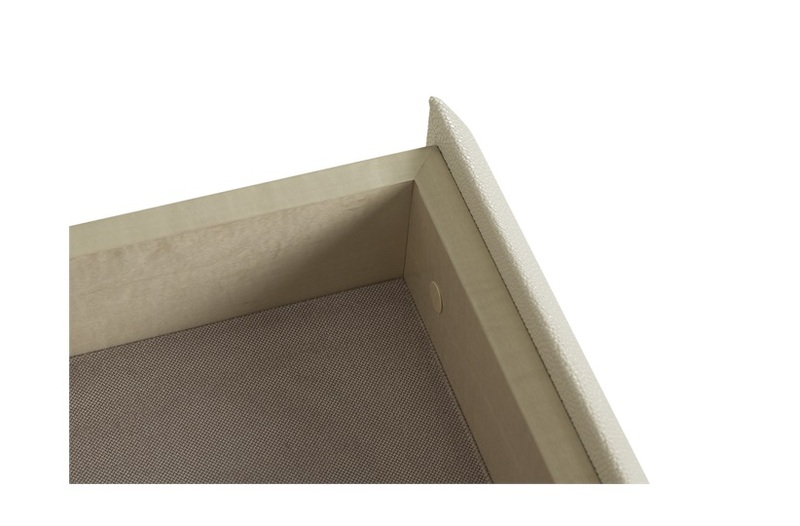 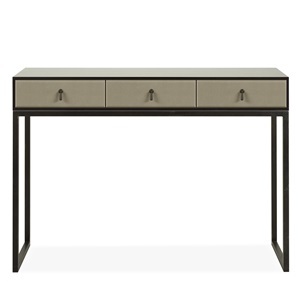 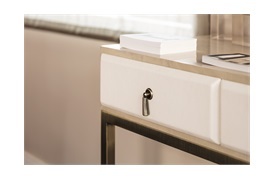 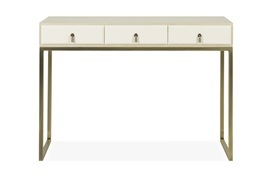 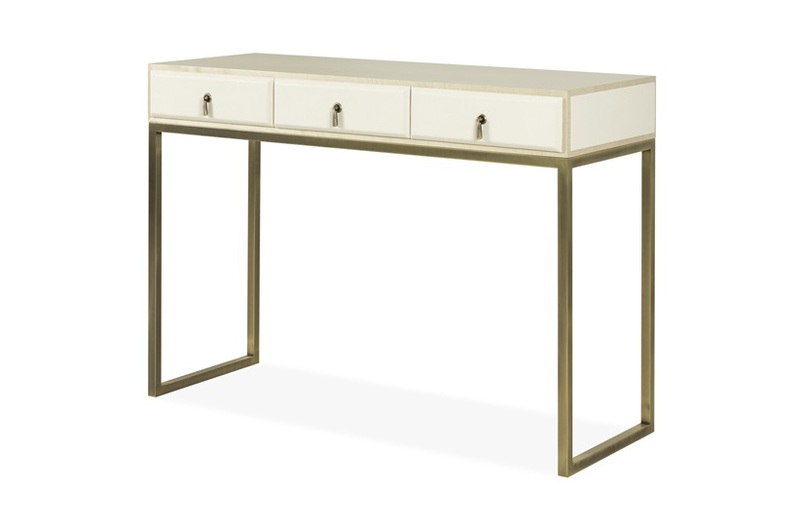 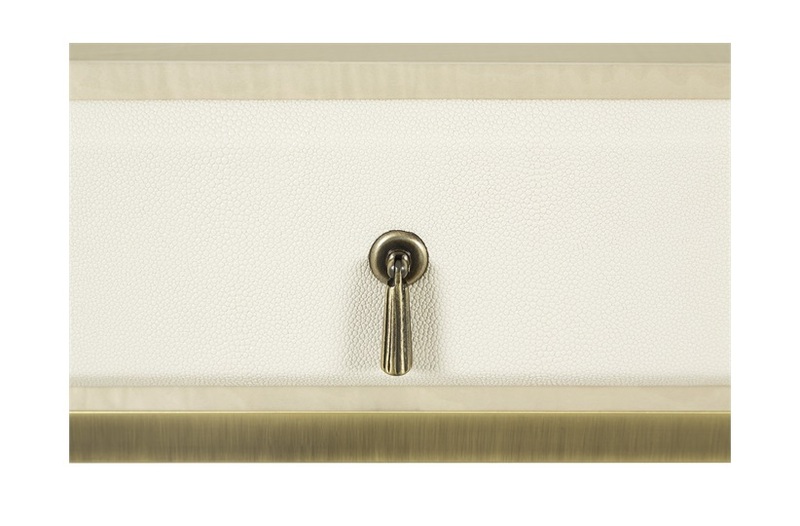 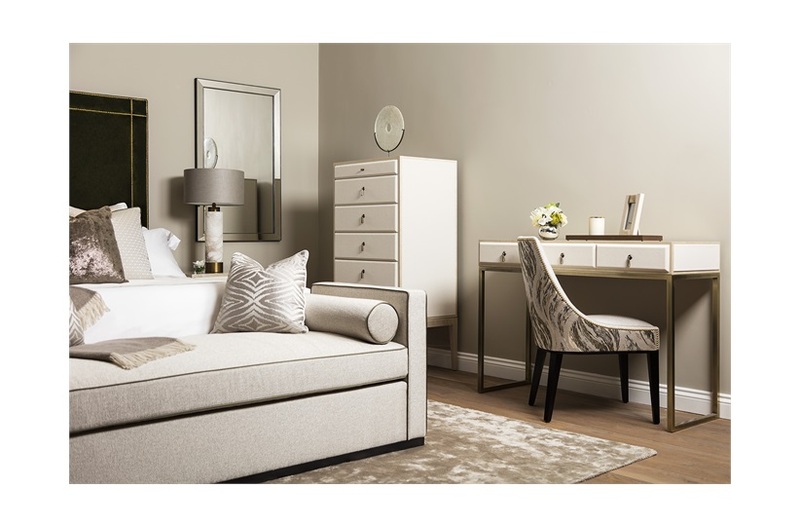 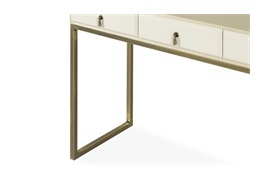 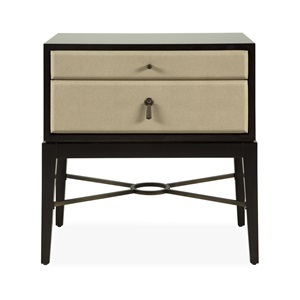 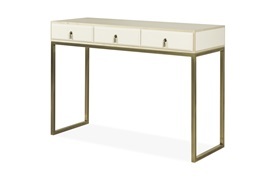 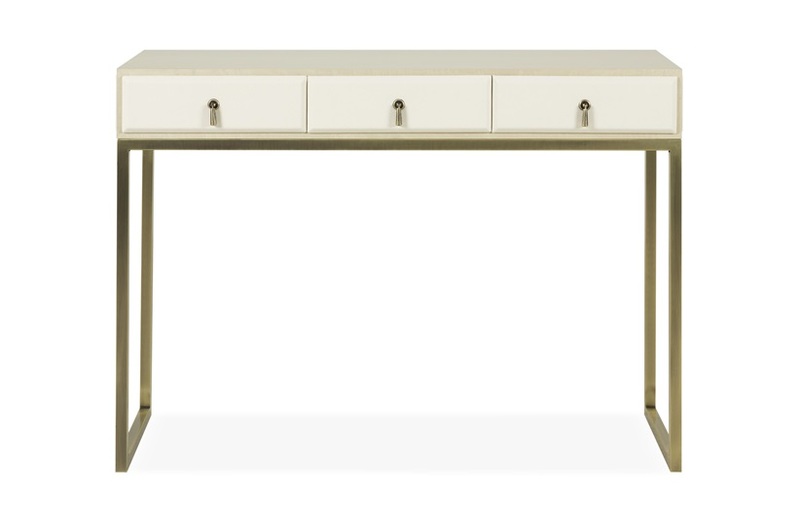 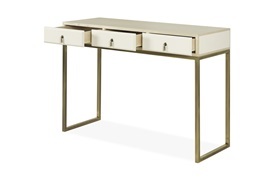 Featuring faux shagreen on the drawer fronts and sides, this dressing table will look good in any style of bedroom and will be the perfect storage solution for your daily essentials. 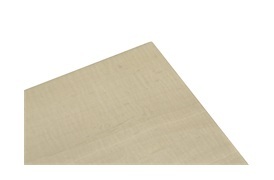 As seen at Decorex 2017.